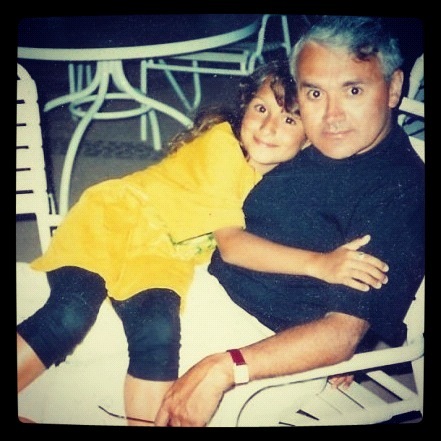 Cristina Rivera around age 9, with her father, Victor, who passed away from colon cancer at age 56. The first time her father got colon cancer, Cristina Rivera was in middle school. He had surgery and chemotherapy and was cancer-free for a few years.But when Cristina was a freshman at Princeton University, her dad’s cancer returned. But Cristina sensed it was worse than her parents were letting on. The details of his prognosis seemed fuzzy to her, but she knew the cancer had metastasized to her father’s brain. “I was like, ‘Wow. I can’t see him getting better’,” she says. And yet, her parents remained optimistic — at least around her. When the oncologist began to explain the situation to her parents and Cristina, “my mom shooed me away.” But she knew that the tone the doctor was using meant that her dad wasn’t going to get better. When school started back up in the fall, Cristina considered staying home, but her mother said, “I don’t want you to worry about this. Focus on your school work the best you can,” recalls Cristina. A few weeks into the semester, her mom left a voicemail message that her father’s health had taken a turn for the worse, but Cristina missed the message that her mom was coming from her home in northern New Jersey to pick her up. Five minutes after she finally heard the voicemail message, her mom showed up, crying. Cristina’s father had passed away. 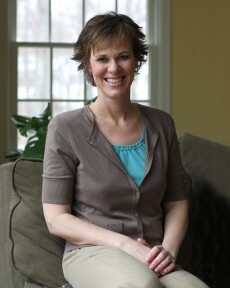 Cristina’s story is typical of parenting with cancer. We parents want to shield our children from the worst of our cancer, but in the process, we can rob them of their emotional rights to process and grieve in their own way. Being age appropriately forthcoming about illness, treatments and even death is crucial to the long-term effects of cancer on your kids.